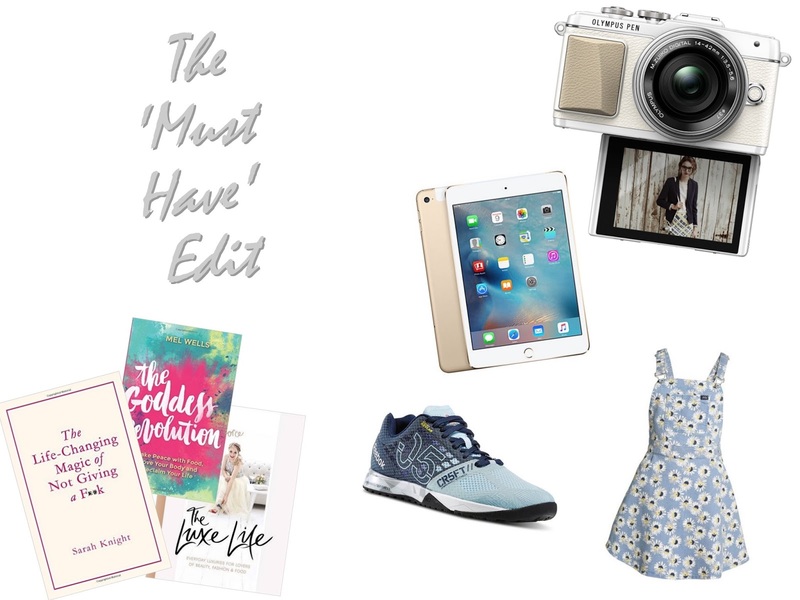 This month’s ‘My Heart Desires’ is boxed up in the form of a little edit of my current must have items from the world of technology, fashion and there’s even a little literature tucked away in there too. Olympus – Pen E-PL7 with Pancake Lens – £399.99 | OK I know I’m such a cliche but I have been looking at this camera for about a year now and I have finally decided that I am going to get one and currently saving all of the money I make through this little corner of the internet so that I can invest in one. I adore the retro styling, the fact that you can sync it to your phone in an instant and also that it gets such good reviews online. You will be mine this year! John Lewis – iPad Mini 4 – £319.00 | One thing that I don’t need right now but that I know I might need in the next few months or so is a new iPad. I have the 3rd gen iPad which is now four years old and it runs so slow despite the fact that I have done a factory reset and have pretty much nothing on it. Sad times. Superdry – Dungaree Dress – £54.99 £27.50 | I am in love with dresses right now and I have a black dungaree dress that I bought in the Winter, but it just looks all wrong in this lovely weather we are having right now. 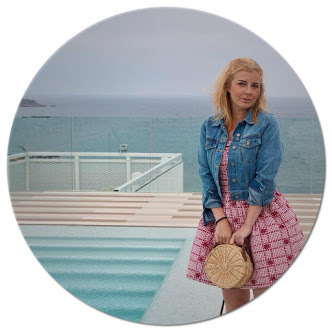 Superdry have an amazing sale on right now (even if two of the dresses I bought a few weeks ago are now 50% off, not cool Superdry) and this daisy one is available in this print and a plain bleached blue colour too. I really want to add the plain one to my holiday wardrobe, but I’m kind of hoping it gets reduced a little more first! My Protein – Reebok Crossfit Nano – £64.99 | Another thing that I don’t need right now but know that I will probably need soon is a new pair of the trainers for the gym, my current ones are a good 15/16 months old now and they’re starting to feel and look a little worn. The Reebok ones are light, supportive and durable and even better they’re constructed to better support you in those heavy lift sessions too. Amazon – The Life-Changing Magic of Not Giving a F**k – £9.09 | Another cliche blogger buy maybe, but recently I’ve been embracing a new found confidence and I think this would just be the perfect thing to read right now, to motivate me to make a few changes and grow as an adult. I’ve heard such good things about this and it may be one I pick up for my week off this month. Amazon – The Goddess Revolution – £7.69 | Another book I want to read is The Goddess Revolution and now that I have made a bit of piece with my body, my health and my fitness I think that this would be a great book to read to help keep my me on track and focused. Amazon – The Luxe Life – £9.00 | Finally it’s the new life bible by the gorgeous Fleur de Force. I took her first book on holiday to Sorrento last year, however, I don’t think I’ll be able to take The Luxe Life to Gran Canaria because it’s a hardback and well, limited hand luggage and all that! However, this will be going on my new bookshelf when I start to give the bedroom a little makeover.